The voting is over. 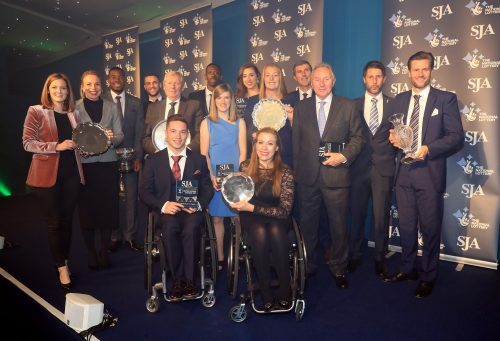 Now we just want to know who has won the prizes at the SJA 2018 British Sports Awards sponsored by the National Lottery. The winners will be revealed on Thursday December 6 at a gala ceremony in London sponsored by the National Lottery with president Patrick Collins presenting the trophies to sportsman, sportswoman and sports team of the year. There are many other awards recognising sporting excellence too and the event will again be superbly introduced by Jim Rosenthal. So the next step is an easy one…and remember that members receive a significant discount.